The Madison Square Garden Company (MSG) wants to transform an undeveloped site in the heart of Stratford, East London, into MSG Sphere – a state-of-the-art music and entertainment venue that will pioneer the next generation of immersive experiences, and create unforgettable moments for fans from the UK and around the world. If approved, MSG Sphere would become a thriving destination that also serves as a long-term investment in the future of London, supporting thousands of jobs and delivering billions of pounds of economic benefit for Newham, London and the UK. Yes Are you a Stratford Resident? The largest and highest resolution LED screen in the world; adaptive acoustics delivering crystal-clear audio to every guest; haptic system so you can ‘feel’ the experience – the technology behind MSG Sphere will transport fans to whole new worlds. It will be unlike anything you’ve ever experienced and will offer something for everyone – from concerts, residencies and immersive experiences, to family shows, corporate events, award shows, product launches and select sporting events. 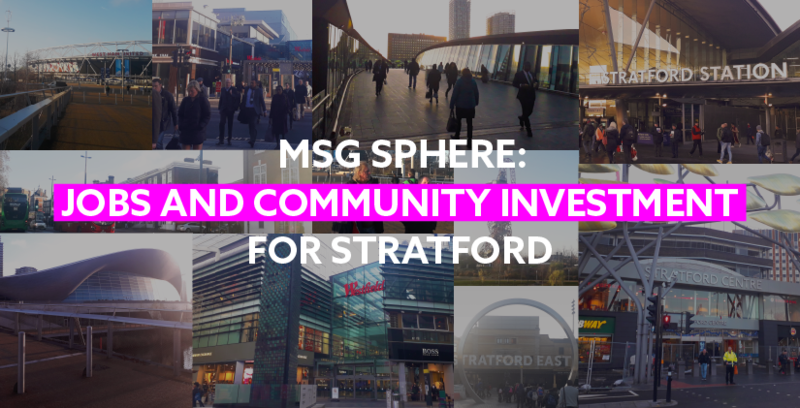 MSG Sphere would transform an abandoned, inaccessible site into a thriving destination that delivers important, long-lasting benefits for Stratford and London, including employment opportunities and ongoing investment in the local economy. 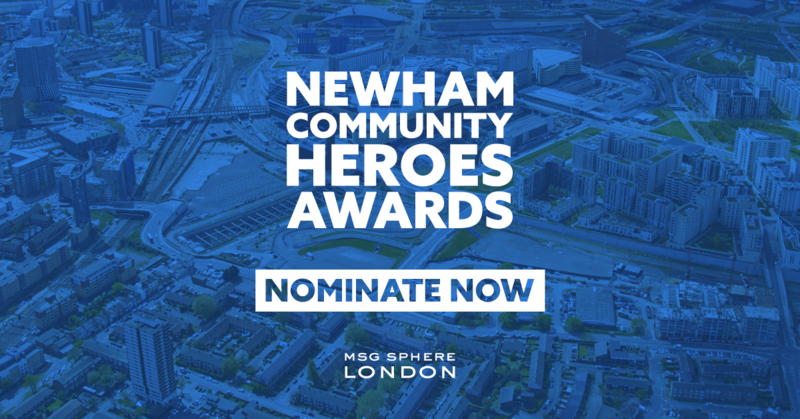 MSG takes great pride in significantly contributing to our communities, and we want to become a true community partner in Newham. Check out some of our current and recent projects, including MSG Next Generation and Newham Community Heroes, and find out more about how we’ve already partnered with the local community. MSG is a world leader in live experiences, with iconic assets that include New York’s legendary Madison Square Garden. 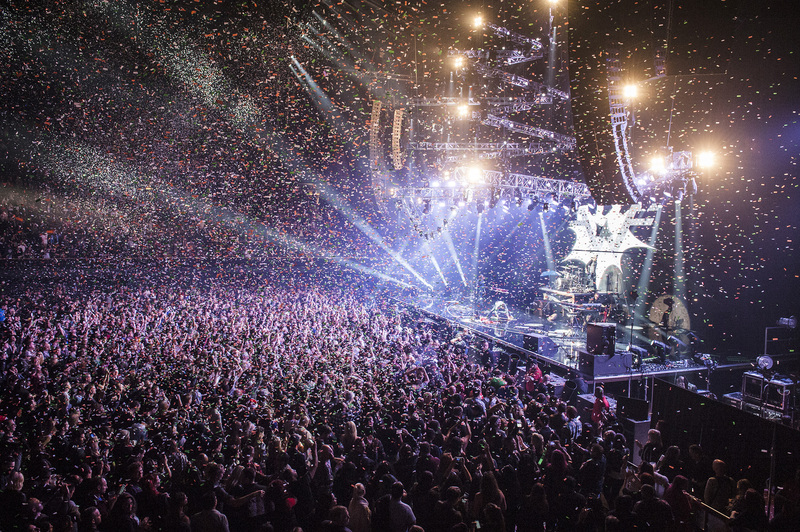 We’re excited by the prospect of MSG Sphere in London becoming our first large-scale international venue. We want to continue to support London’s thriving music scene – including grassroots artists. Through MSG Up & Coming, we showcase some of London and the UK’s best new acts, as well as the venues where they perform – check out our latest playlist now. How many people would the venue hold? How many jobs would be created? What new infrastructure would be built for the community? We’ve been consulting with the local community as we develop our plans, listening and responding to your feedback. Get answers to some of the most common questions. The MSG Up and Coming playlist is live – bringing you the best new music from London’s music scene. LISTEN NOW – and find out about our plans to bring more amazing music to Stratford.